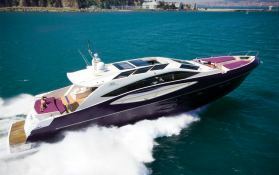 The Numarine 78HT yacht is 24m (78 ') built by Numarine in 2013 for rental in the bay of Hong Kong. It is easily recognized not his signature clean lines and sophisticated and a contoured shape that would make a shark jealous. 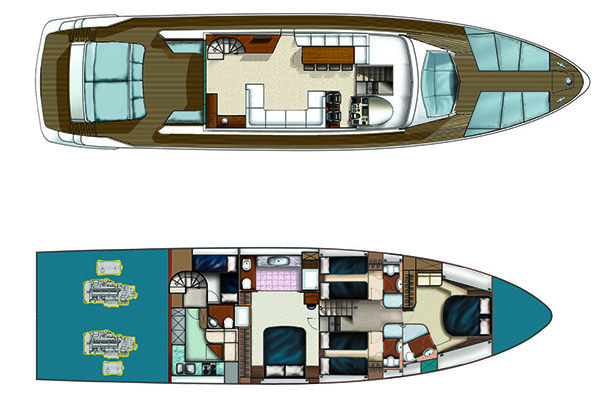 The Numarine 78HT has a modern minimalist interior, filled with natural light supplementing the luxury that one can expect in a yacht of this type. The abundant natural light and contemporary furniture create an unexpected feeling of spaciousness. The main bridge is an uninterrupted area leading to the bar, offering comfortable seating area for 8 people. 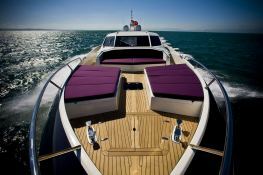 This Numarine 78 Hardtop is available for yacht charter with a base price of 43 000 € (approximatly 48 493 $).